When you're drawing on a vector layer and select the Brush tool, its properties and options appear in the Tool Properties view. 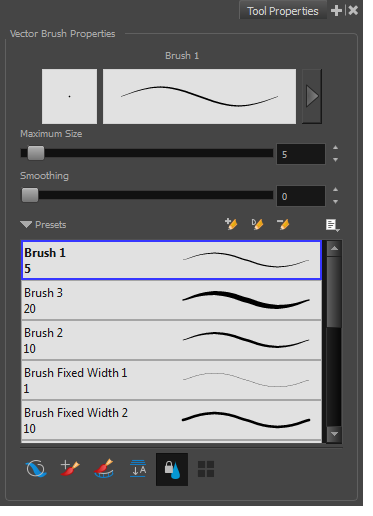 Brush presets are created by saving the properties of the current brush to a new preset, which you can reuse for repeated tasks. 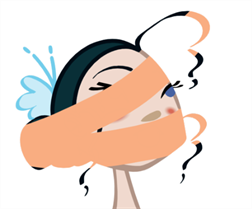 You can create as many brush presets as you need—see Drawing with the Brush Tool. 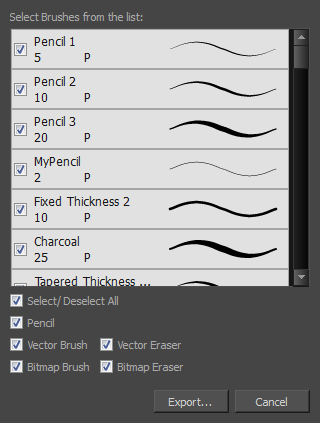 From the Brush menu, select Export. 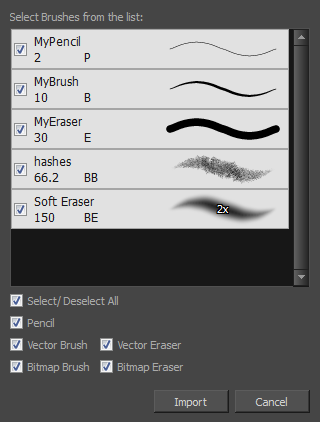 In the Export Brushes dialog box, select the bitmap and vector brushes and erasers to export, as well as any pencils. In the Export Brushes window that appears, browse to the location where you want to save the .xml file and give it a name. Small Thumbnail Reduces the size of the thumbnails in order to view more at the same time. Displays an image of the tool's tip and its maximum size. Large Thumbnail Increases the size of the thumbnails in order to see the images more clearly. 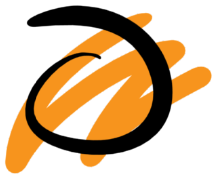 Displays an image of the tool's tip, its maximum size and its name. Stroke View Displays the tool's name, maximum size and stroke preview. When the Draw Behind mode is enabled, the lines you draw will appear behind the art that already exists. The Repaint Brush is used to repaint zones that have already been painted, it will not affect empty zones or pencil lines. It also automatically flattens each of its brush lines so it does not add new brush lines on top of existing ones. You can use this mode to paint tones or highlights onto your character. The Respect Protected Colour option prevent the colours you marked as protected, in the Colour view, to be repainted using the Repaint Brush mode or any of the painting tools. The Use Stored Colour Gradient option makes your tool use the previously stored gradient position. 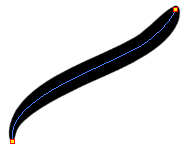 This way, every new brush line or colour fill will use the stored gradient position.